People who love the band Dawes really love the band Dawes. Songwriting and musicianship aside, I think one of the things fans latch on to is that this is a band that feels like a good hang. The band's current lineup includes Taylor Goldsmith, along with his brother Griffin on drums, Wylie Gelber on bass; and Lee Pardini on keys. 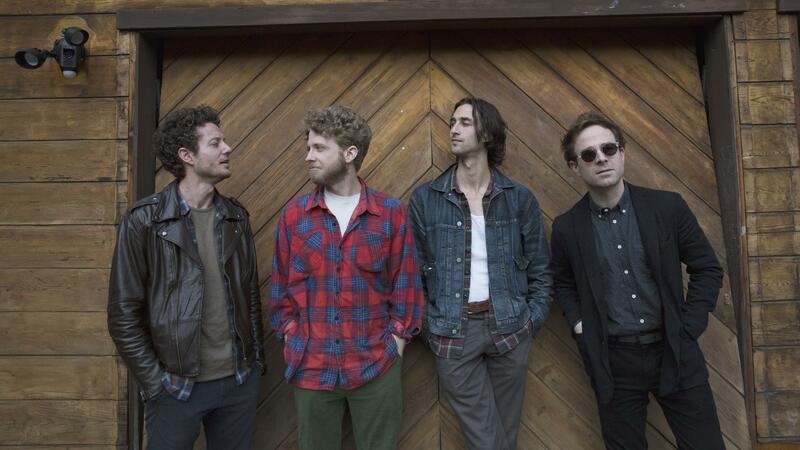 Whether you listen to its records on long car rides or in college dorm rooms or in dive bars or at wedding receptions, Dawes feels like good company. And as you'll hear today, lead singer Taylor truly is good company. Taylor cares about the state of the world and the craft of turning details from the world as he sees it into lyrics. He's happily in love with his fiancée, actress and musician Mandy Moore. Being in love is a topic that came up when we sat down to talk, and it certainly comes up on Dawes' new album called Passwords. We start off with a live performance of Dawes' song "Living in the Future." Hear it all in the player.